When should you have your gutters cleaned? When should you replace them? Gutters look like a simple system along the sides of your roof. In fact, most will try to hide gutter downspouts because it affects curb appeal. 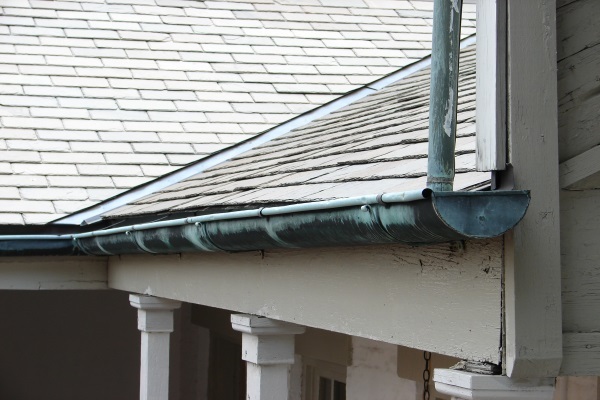 However, gutters play a huge role in improving the overall aesthetic and preservation of any property. In fact, gutters prevent roof damages resulting to mold growth and leaks. Gutter cleaning and maintenance is necessary regularly. It is a dirty task. However, the long-term payoffs of a well-cleaned and maintained gutter are truly undeniable. When should you have your gutters cleaned? You should do so when you find your sidings a bit more dirty than usual. In fact, when you see gutter-pooled water, you have a clogged system definitely. 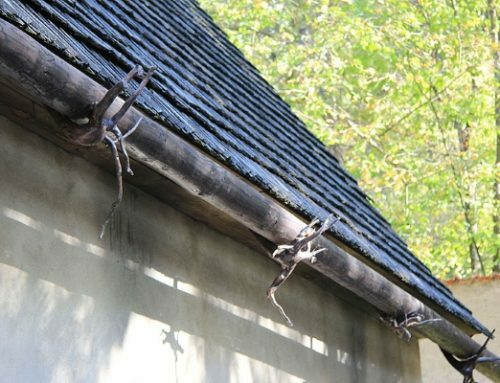 Gutters serve homes in many ways despite their small size. Your home definitely looks better without gutters. In fact, you can add custom roof enhancements to accent the edges of your roof to improve its curb appeal. However, trading utilities for aesthetics does not make a well-balanced home. Without gutters, water roll-off during strong storms will land straight to your yard. It seems inconsequential, but the yard-landing water will have extremely strong velocity. In huge torrents, it is enough to dislodge the grass and plants along your yard. Eventually, you will have your hands full remodeling your yard each time a storm passes along your property. That is something gutters can prevent effectively. Gutters play a huge role in keeping your lawn in order and preserving your foundations. Concrete makes up the foundations of modern properties. This material is a mixture of slab, cement, and other sturdy materials. In fact, it starts as a moisture-filled mixture. Then, it is ready for building once it dries up. The material will withstand small amounts of moisture. However, huge torrents of water will permeate its surface. In turn, the mixture will begin to moisten until it breaks down into its initial form. The foundations of any property lie deep under the soil of the lot. Without gutters, rainwater will erode your yard and soak the soil securing the foundations of the property. When should you have your gutters cleaned? When it affects the curb appeal of your property. Gutters serve to manage rooftop rainwater and ensure it lands to the ground without disruptions. In fact, the absence of gutters stains the sidings along your house. Roof material sediments especially from asphalt shingles will discolor gutter-carried rainwater. If the gutter system clogs or is absent, the discolored water flows freely against your sidings and windows. In turn, it affects the curb appeal of your home gravely. Therefore, unclogging your gutter system is the key to a better-looking home. When should you have your gutters cleaned? When you spot certain areas of your roof ponding with water. Ponding is common in most flat-roofed homes. Low-sloped roofing rolls off water at a slower velocity than high-sloped ones. However, a well-installed and maintained gutter system prevents this from happening. Clogged gutters will increase the likelihood of ponding on your roof. The weight of the water will place your flat roof material under great duress. If left unattended, it will penetrate the material and cause leaks. In addition, ponding carries lifeforms. These may nest on the material of your roof. In turn, molds, mildew, and fungi may penetrate the air inside your home. Clogs after every rainstorm is a sign your roof needs immediate cleaning. When should you have your gutters cleaned? When you see hailstones. After a hailstorm, make sure to check your gutters and clean out trapped debris if you can. In addition, call your trusted roofing contractor to conduct surveys for essential hailstorm roofing repairs. Have your gutters cleaned once in the late spring and once in early fall. If your property has trees and pines growing alongside it, branches will clog your systems. In particular, pine trees shed needles all year round. Therefore, inspections as frequent as three months will help maintain the performance of your gutter system. Light tree shedding happens during late spring. During early fall, the shedding intensifies. In fact, you’ll need to double your gutter-cleaning efforts by winter to avoid ice damage. Stained siding indicates clogged gutters. Therefore, to answer “when should you have your gutters cleaned,” do so when you see your sidings taking on a rusted color with patches of brown and gunk. Gutter overflow due to clogging spills its contents to your siding. If properly cleaned, gutters will prevent rainwater-caused stains. Gutters have an expected lifespan of over 20 years. However, this depends on the manufacturer’s gutter materials. For example, plastic or vinyl gutters (they exist) will last a lesser time than steel gutters. However, stainless steel can rust over time. When is the right time to replace your gutters? Strong windstorms will bend your gutter downspouts. In fact, you may find your gutter system completely misaligned thereafter. In addition, pooled water bends and misaligns downspouts and gutter systems. The weight of the water will push down against the system over time. If the property faces another rainstorm, the gutter will give in against the weight and break down. Gutters require cleaning during late spring and early fall. If you live near trees, you may need it more frequently. 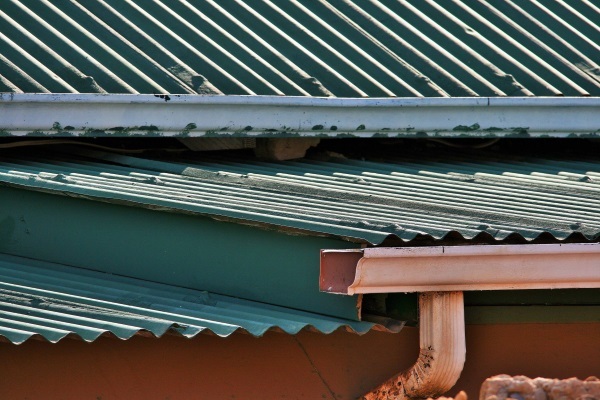 Stainless steel will rust despite its longer lifespan compared to vinyl and plastic gutters. However, rusting is an indicator you gutters need cleaning. 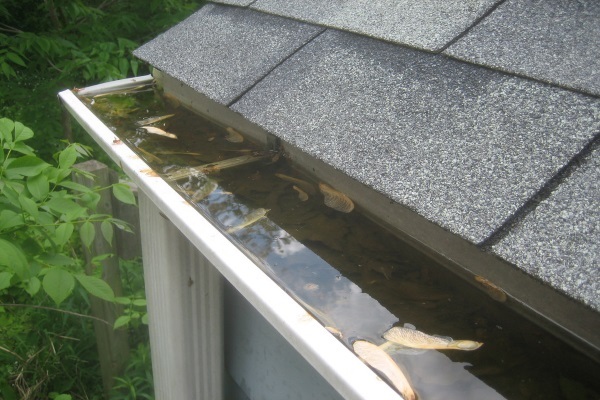 Pooled water in clogged gutters will corrode the stainless steel material. Although steel will withstand a certain level of water corrosion, prolonged exposure will shorten its lifespan and durability. When should you have your gutters cleaned? The answer to this question is whenever you see something clogging or dirtying the sidings of your property. Gutters are small systems. In fact, they look like the extensions of your roof. However, the role they play helps prolong the lifespan of your roof, siding, and property foundation. 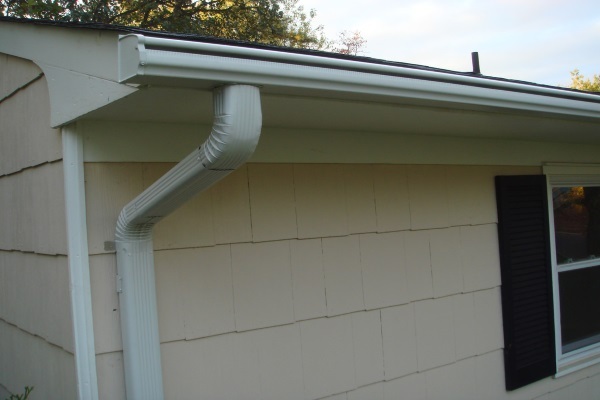 Keeping your gutter systems healthy and efficient is the key to a good property. However, if you need to have them cleaned or replaced effectively, you will need experienced professionals to help you.